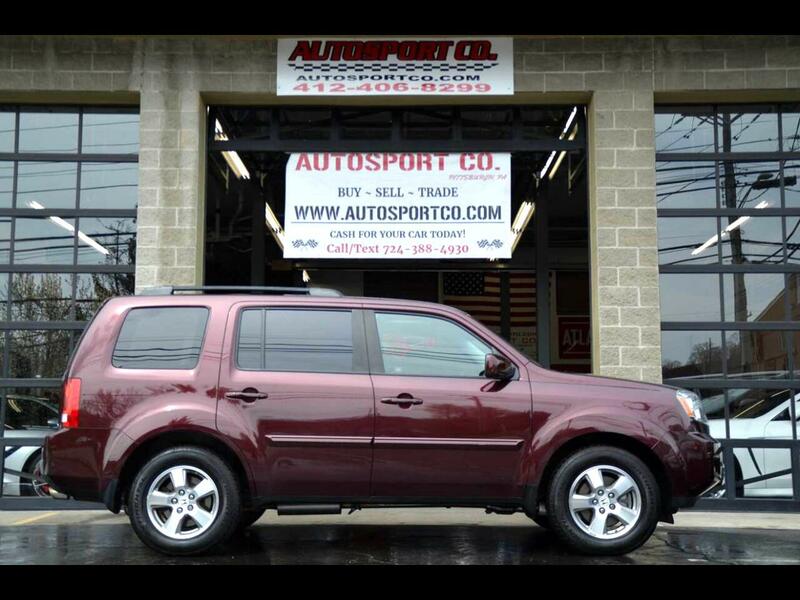 Used 2009 Honda Pilot EX-L 4WD for Sale in Indiana PA 15701 AutoSport Co. Offered for sale is a 1 Owner, Well Maintained 2009 Honda Pilot EX-L with 105k miles, new tires and plenty of options to enjoy! This All Wheel Drive, Honda Pilot runs out excellent and is a great year round vehicle. Around the Dark Cherry exterior, there is no abnormal wear present for its age, likewise the premium 17” Alloy Wheels show great and were recently fitted with brand new all season tires! Throughout the smoke free, black leather interior very minimal wear is present and dash area and console all show great as well. There is a small tear in the driver seat which can be seen in the photos, but this is to be as expected with age. In addition, this 2009 Honda Pilot with 105k miles is equipped with options such as: EX-L Package, 3.5L V6 Engine, All Wheel Drive, Heated Leather Seats, Factory Backup Camera, 3rdRow Seating, AM/FM/CD/SAT/AUX Stereo System, Cruise Control, Factory Sunroof, Remote Entry, Roof Rails, Painted Body Side Moldings, Chrome Accents, Current PA Inspections, New All Season Tires, and much more!! For more information on this 2009 Honda Pilot EX-L feel free to call/text Anthony at 724-388-4930. This car is located at our Pittsburgh location, we accept trades and can help with financing options. Please take note; this vehicle is currently being sold with an intermittent Airbag light illuminated. Thank you for your interest, we look forward to speaking with you!